Jarryd Hayne has cause a huge stir after he has publically stated that he will be considering taking his option to leave the Titans as soon as the end of the season comes around. If it turns out to be true, he will be making waves throughout the clubs of the NRL. In recent weeks, there have been three big name moves that have been associated with the NRL’s West Tigers. 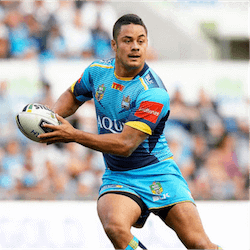 The announcement comes after reports surfaced that Hayne has not been a team player within the Titan squad. It may be that the decision to leave the Titans is not up to Jarryd at all, but a move to retain team cohesion. 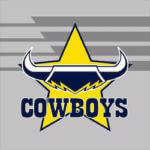 There have also been recent rumours that Jarryd may be returning to his former club, the Parramatta Eels. Apparently Hayne’s representative met with Parramatta official in order to gage interests in the player. According to Hayne’s contract, he is set to play for the Titans until the end of the 2018 season. He does however have a clause in his contract allowing him to choose to leave the club before the official end of his season. Since team management or even the players themselves have not been happy with Hayne, he may be forced to take this option early. There have been reports that Hayne is bringing down the entire team as he refuses to take his training seriously and his conduct forces the rest of the team to endure extra drills at the end of their sessions as the coach’s punishment to Hayne. Coach Neil Henry has so far declined to offer any comment on Jarryd’s performance or attitude, on or off the pitch. The same goes for his team mates who have refused to offer any further comment on the matter. He has until the end of May to decide what his future will be. Whatever his decision, it won’t be an easy one as he will be saying goodbye to a $ 1.2 million final season contract. If Hayne takes a position at the Parramatta Eels, his contract there will be about $ 400 000 short of the Titans package. In his past career, Jarryd has played with the Australian sevens team, the Fiji sevens team as well as taking part in American Football for the San Francisco 49’ers.